Comment Some metallics on the obis; sheets backed and attached. 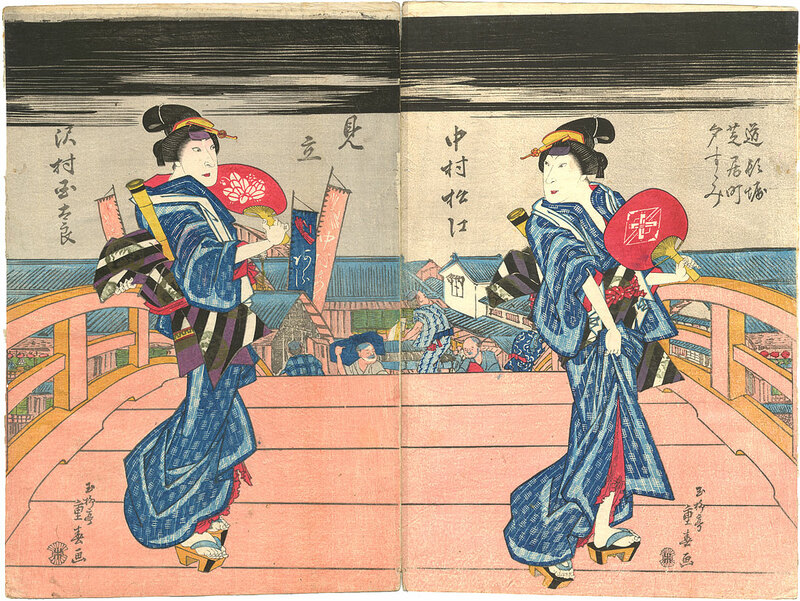 A mitate (not a scene from a play) showing two onnagata (actors who specialize in female roles) in matching kimono posing on a bridge in the theater district on a summer evening. Super design.